Flood waters devastated the Runnels school campus in Baton Rouge last August, leaving the entire campus in need of repairs. Located on a downslope on the campus, the school’s auditorium was inundated with more than 4 feet of water. Everything from the seating to the stage to the new mixing board needed to be replaced, and repairs couldn’t begin until the space was completely dry. With remediation and reconstruction complete, it’s time to bring the auditorium back to life. 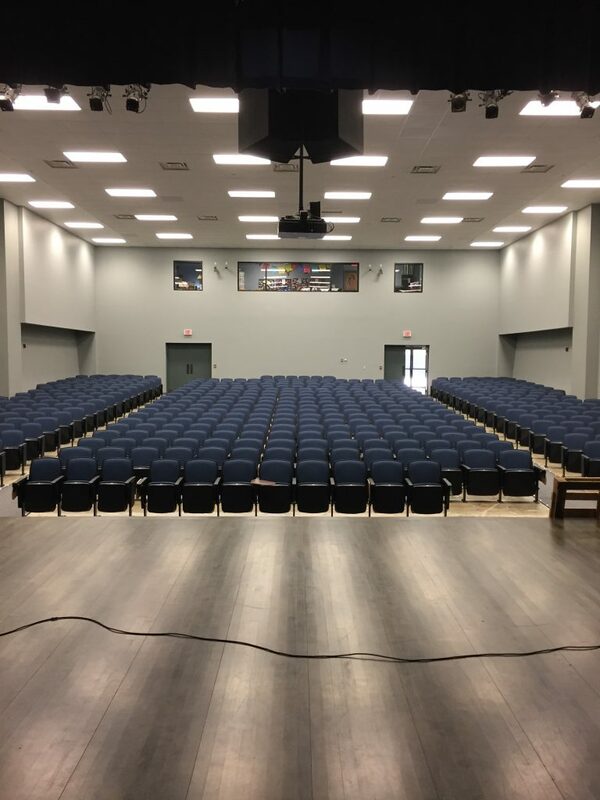 LOOP AVS is honored to work with Runnels on the auditorium’s sound system, described as the “centerpiece” of the school. We’re looking forward to delivering a top-of-the-line audio system to enhance student performances but the real highlight of this project is the opportunity to train the students to use their new sound system. Check back here on our blog and on our Facebook page over the next few weeks for progress pics. April 2017: Runnels School Auditorium Ready for the install on their new sound system. 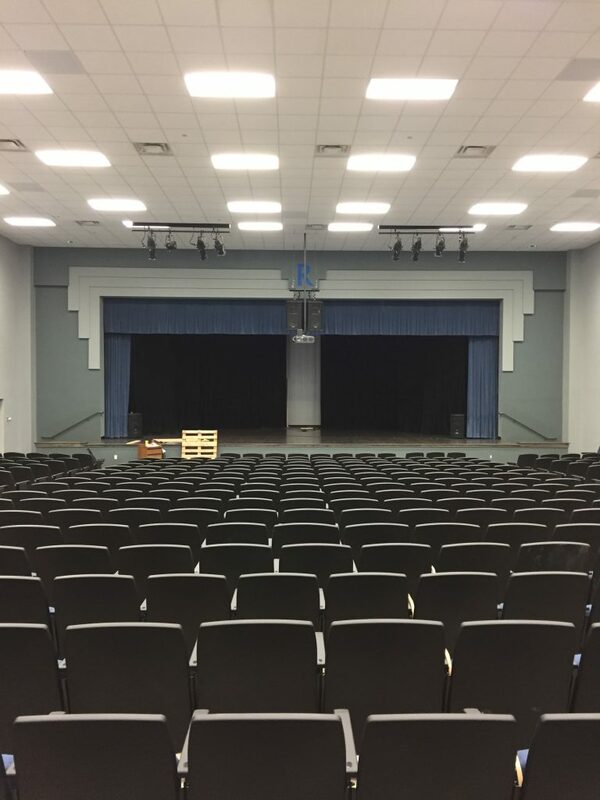 April 2017: Runnels School Auditorium stage view. LOOP will be installing a new sound system for the school, devastated by last August’s floods.